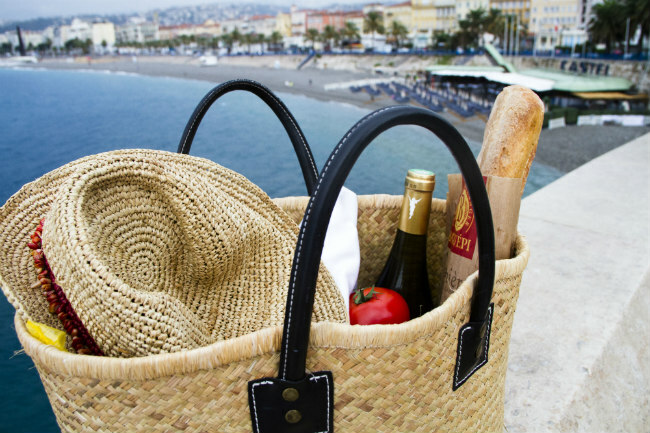 If eating and drinking are at the top of your list, then one lovely way to spend a day in Nice is to shop for a picnic lunch in the Old Town. Afterwards, you can head for the beach, always a good idea, or the hills. Le Parc de la Colline du Château on the towering hill behind the Old Town has spectacular 180-degree views of Nice, the Port and the sea– perfect for a picnic. 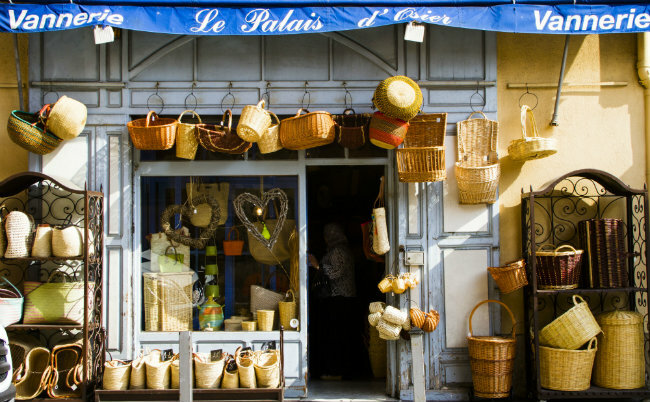 First, you’ll need a basket for your picnic items, which you can find at Le Palais d’Osier just off the Place du Palais de Justice in the Old Town. At this 100-year-old establishment you will find an array of quality handmade baskets, woven by the shop owners who are working as you shop. Of all the souvenirs I have brought home from France over the past twenty years, these sturdy baskets (mine are eight years old now) are among my favourites. I use them daily to shop in Seattle, and they never fail to bring compliments and queries about where I got them. These baskets come in all shapes, sizes, colours and prices, the most basic at just 14 Euros. It’s a bargain, and you can use it for the rest of your stay in Nice. Now you’re ready to fill up the basket with your picnic. Head straight from the basket shop to rue de la Préfecture, just 100 yards east, where you will find the Rôtisserie du Palais. Here you can buy hot dishes wrapped and ready to take out – paella, lasagna, and whole roasted chickens – enough for two hearty eaters. Most of these dishes are around 8 Euros. Another bargain. Try the paella! 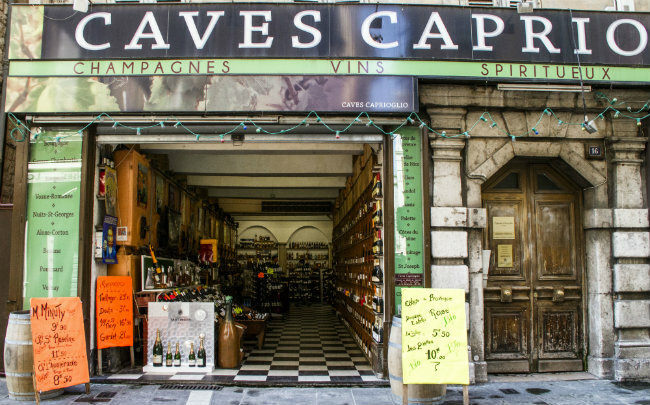 Just to the left of La Rôtiserrie on rue de la Préfecture is a century-old, family-run wine shop. You will find a wide range of excellent wines here at every price range. The friendly owners can help you select a bottle of red, white or rosé for your picnic. On another day, you can come back and ask for a tour of the caves below the store. Of course, you can spend hundreds of dollars on a bottle of Châteauneuf-du-Pape, but a decent bottle of wine can also be had for 5 euros. 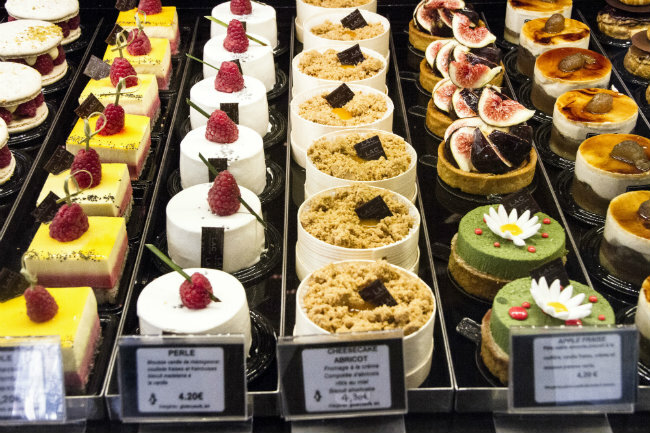 Of course, no French lunch would be complete without dessert, so choose a pastry or two and some chocolates from Lac Chocolatier just to the right of La Rôtiserrie, on the corner. This is designer pastry, perfectly created to please the eye and the palate. My personal favourite is the tarte aux framboises, a petite custard-filled pastry with sugared raspberries piled neatly on top. These pastries run about 4 to 5 euros each. 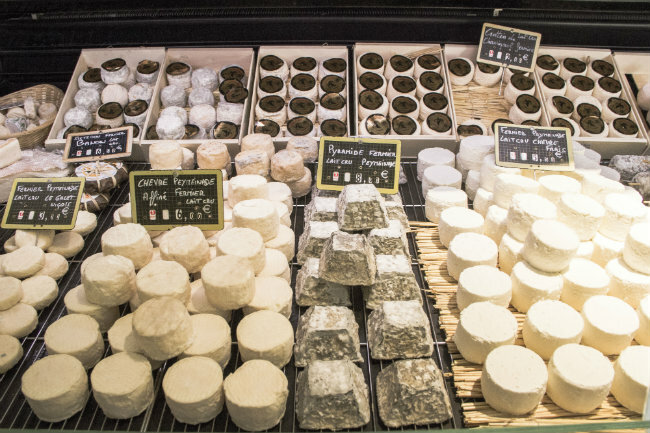 Keep heading down Rue de la Préfecture for your next stop at Le Fromage, one of two cheese and charcuterie shops owned by the very charming Mr. Froumaï. Pick up one of the delectable cheeses from his beautiful display along with a few slices of prosciutto. A small wedge of cheese and the Prosciutto di Parma will probably cost around 10 euros. Finally, you can go two streets over to the amazing Cours Saleya market, Nice’s huge outdoor market area in the Old Town near the beach, where you can round out your picnic lunch with olives, a crusty loaf of bread, and tomatoes. Another 5 to 6 euros. Et voila! The most perfect picnic lunch you can imagine, and a fine way to spend a few hours of your lovely vacation in France. Very informative! Bon appetite for sure mon sister. Thanks, Margaret! Wish you were here! Belle, Belle, Belle!!! – and delicious too! Delightful article and great photos, bringing back many great memories of picnics in France. You can definitely obtain Chateauneuf-du-Pape for lots less than you indicate. I am looking at a bottle on my kitchen counter right now that my son-in-law and daughter brought us recently – Domaine Chante-Perdrix. Admittedly they went to the source! Thank you for your comments! I’ll look for that bottle of wine today! 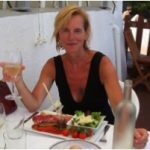 I enjoyed your article on one of my favorite cities in France. The cave on rue de Prefecture is the best! Wonderful article and photos! Feeling nostalgic. My husband and I have been to Nice 11 times. We even rented an apartment in Old Town for 3 months. Your article brought e great pleasure because we shopped at ALL the places featured. Wonderful! It is especially poignant because my husband just died 3 months ago from complications of advanced dementia. Even right near the end he would ask me, “Do you think we will go back to Nice again?” Thank you. 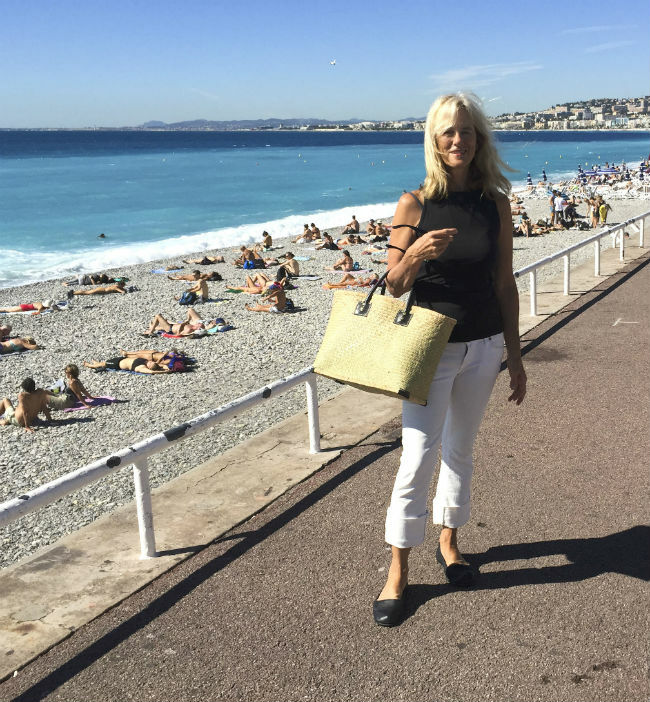 My husband and I had the extreme pleasure of visiting Nice 11 times. We even rented an apartment in Old Town for 3 months. We shopped at all the places you recommend and loved them! My husband died 3 months ago, so this was very poignant for me. Almost to the very end of his life, he would ask me if we were going to go back to Nice again. Thank you. article brought back one of our many adventures during our many stays, sometimes a number of times in a year. areas. without visiting other parts of Europe. They just don’t get it. Keep up your heart filling writing, and keep dreaming and packing! Nice back, so we are off there again as well. Love it! I was in Nice for the month of January and ate my way through all the chocolate desserts in Lac along with a lot of the cheese and smoked pork tenderloin at LOU Fromaï! I love Nice and will be moving there soon (I hope)!! Maybe I need to get your book! In wonderful Nice now and followed your excellent advice for a picnic dinner. Am loving my handmade basket, finished all the little crumbs from the delicious desserts, cheese and delectable wine. Must do it again before I leave!